Top 5 Best Hot Rollers of 2019: Do NOT Buy Before Reading This! The hot rollers that you pick for your hair will depend largely on your individual requirements. These include the texture and the length of your hair, your budget and the features that you require. Steamrollers are the best choice for hair that fails to hold a curl. These rollers are made from foam, and they are infused with steam, so moisture assists the styling of your hair. Ceramic rollers distribute heat evenly and use infrared to prevent damage to hair. The heat from these curlers leaves a smoother finish with no frizz. The ceramic core of the roller is a composite material, most often clay. The number of rollers in the set and the number of sizes. Some curler sets have just one size while others come with an assortment of sizes. Heating and cooling time is important. Curler size - larger curlers are best for volume. Use longer curlers for longer hair. Flocked or ribbed curlers. Many people find that the ribbed curlers are easier to remove, but the softly flocked curlers stay in the hair more easily. Hot curlers do not get as hot as a hot iron or curling tong. They are usually covered in soft material, and you can hold them with little danger of burns. Thick coarse hair may tolerate curling tongs but they will damage fine straight, hair. Hot rollers offer the best volume solution for fine hair. Curling with hot rollers is less time consuming since you put them in the hair then carry on doing other things while you wait for the curlers to cool. Hot curlers are heated in the base, so they do not themselves have any electrical contacts. This means that they are easy to wash. Hot rollers are easy to use and can create curls or volume. Fine hair can look great, but because it lacks volume it can sometimes take some effort. Thin hair is not necessarily fine. Thin hair refers to the density of the hair and fine hair to how thick a single strand is. Wash your hair frequently. Fine hair tends to get oily quite quickly, and this can make it look even less voluminous. Dry your hair before you climb into bed. Sleeping on wet hair will flatten it, making it look thinner. Use hot rollers to give your hair volume or curls. Go to a hair stylist that understands fine hair. A good cut can give your hair a fuller look. It is the foundation upon which you can build a great look. Shake the curls out with hands. Do not brush. The Infiniti Pro is a set of twenty ceramic flocked rollers infused with argan oil that will keep your hair smooth and healthy looking. There are three different roller sizes, and they boast twice as much flocking than the average roller for increased hair protection. The rollers are kept in place by butterfly clips that come in a convenient carrier bag. This product offers you the ultimate in heat control with twelve temperature settings. The rollers heat up in just two minutes. The electrical cable is retractable, so it is easy to store. It has an on/off switch. And, the curlers have indicators so you can see when they are hot enough to use and cool enough to remove from your hair. The Caruso Steam setter comes with a choice of either thirty or fourteen mixed size curlers and a steam tub. There are five different sizes of rollers for versatility of style. Each of the patented curlers must be individually heated, but they do heat up within thirty seconds. The rollers and shield covers come with the kit. The tub uses ionizing technology turbo deliver triple the amount of steam compared to regular steamers. And, the steam conditions your hair as it styles it. Within five to ten minutes the style is complete, or if you use a hairdryer you can style your hair in seconds. For long-lasting curls in curl resistant hair keep the rollers in until they have cooled down completely. The set is compact and light and has dual voltage, so it is an excellent travel companion. The curlers can be kept together in the heavy-duty plastic that comes with it. And, the supplier recommends that you use distilled water with the product to prevent mineral build-up. The product has a handbook of styles. 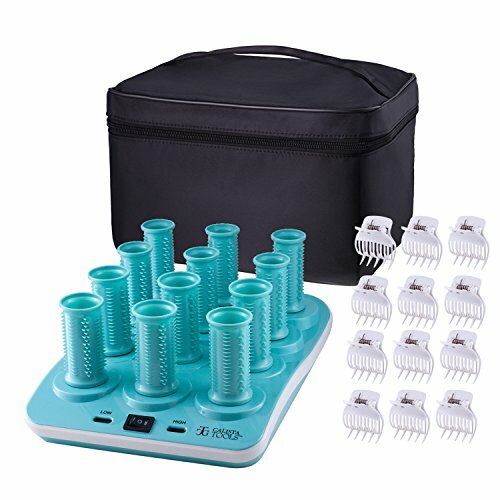 These are ceramic rollers which activate ionized atoms that can help to condition your hair and stop frizz, leaving your hair smooth and shiny. This set of ten ribbed rollers comes in two sizes with color-coded ends making it easy to identify the size when you are curling your hair. The ends remain cool when the curlers are heated to protect your hands from burning. The curlers are kept in place by a steel J clip that will not leave creases in your hair. These are also color coded. 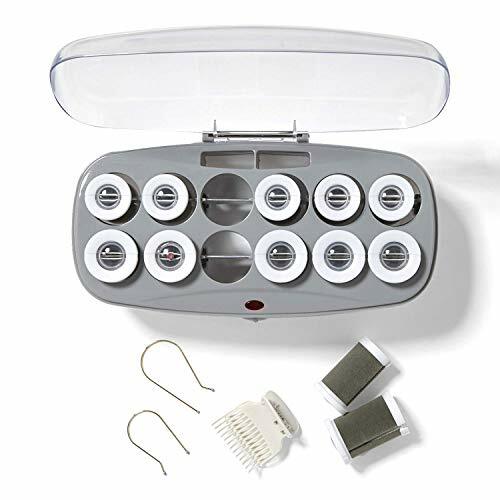 The Calista offers you a set of twelve rollers in two sizes. 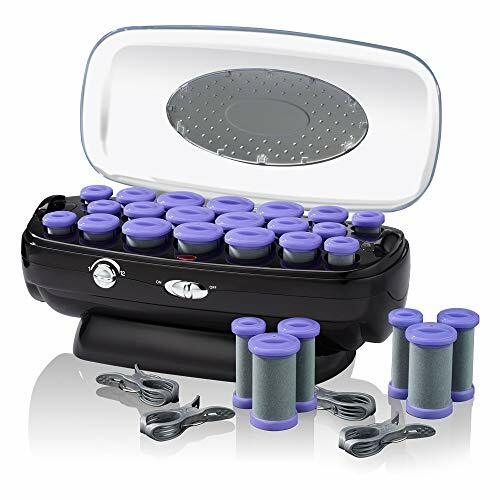 Each ribbed roller has a full-length butterfly clip, and the entire kit fits into a stylish black vanity case with a comfortable handle on the lid. The rollers are equipped with ionic technology to ensure that your hair is styled smoothly, without damage or frizz. This product has two temperature settings so you can choose the lower setting and prevent heat damage to the hair cuticle. The rollers contain the heat elements which means that they heat quickly and retain the heat for longer. The Calista has an on and off switch, so there is no need to switch it off at the wall. And, the rollers have a red dot that indicates when they are warm enough to use, and a white indicator lets you know when they are ready for removal. 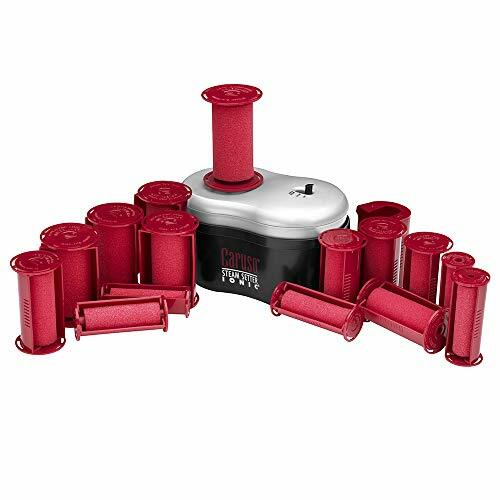 This set of twelve flocked rollers are designed to create curls and waves in long hair without hot spots that can damage hair making it frizzy. The rollers have commercial grade porcelain ceramic heaters that create far infrared ionized heat to leave you with a smooth and shiny style. The set includes six 1 ¼ inch and six 1 ½ inch rollers with twelve butterfly clips and twelve u clips so you can choose the method of closing that best suits your hair. And, the core includes ionic technology that helps to keep your hair in tip-top condition. The rollers are quick to come to temperature, using just three minutes to achieve 127⁰F. This product does not have dual voltage. It does have an on/off switch. For sheer versatility, the choice of best hot hair rollers for fine hair goes to the Infiniti Pro by Conair. With twenty curlers in three sizes, this product offers you a range of styles to suit your mood. The combination of ceramic technology and twelve temperature settings means that you should never damage your hair no matter how fine it is. Indicators on the curlers let you know when the curlers are ready for application and removal. You too can look like a Hollywood star. Fine hair does not have to lack volume. Add some bounce to your hair. 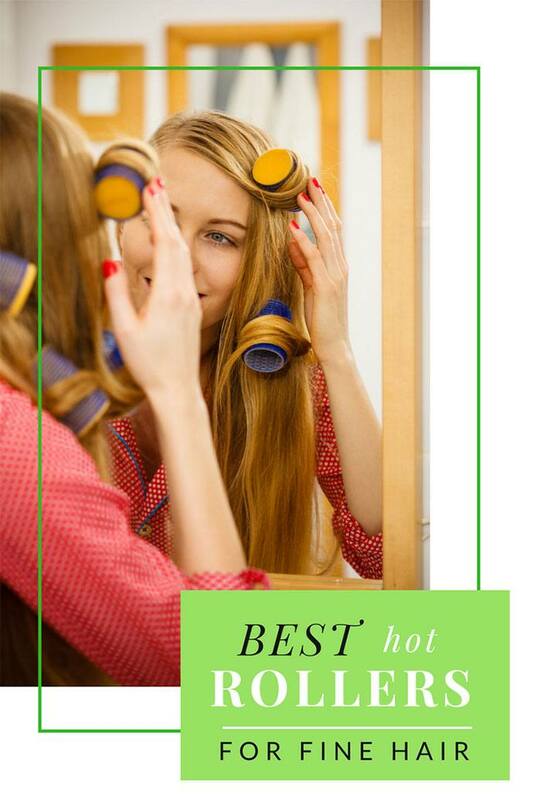 Get the best hot rollers for fine hair, and start experimenting with your new look.